SR Auto gives the Panamera GTS the same treatment it applied to the Ferrari Ice Blade. SR Auto Group turned plenty of heads with the release of the Ice Blade Ferrari 458 Italia. In a similar turn of styling events, SR revised the red, white and black trim for the new 2013 Porsche Panamera GTS. 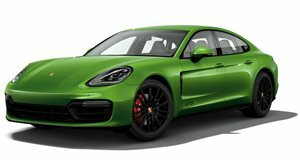 The Panamera GTS made its original debut at last year&apos;s LA Auto Show. Motivated by a naturally-aspirated 4.8-liter V8 engine rated at 430 horsepower, the four-door German sedan can accelerate from rest to 60 mph in 4.3 seconds and reach a top speed of 178 mph. SR felt the car&apos;s performance numbers were good enough to leave alone, however the Vancouver-based tuning firm decided it could use some work in the looks department. The first thing the Canucks did was add a fresh white exterior finish with black accents all around the big-bodied Porsche. The black touches on the headlights and bumpers combine well with a lowered suspension and a set of big bold 22-inch PUR wheels whose centers were blacked-out and a Davinci Red finish applied to the lips for contrast. The finished product, dubbed the Project Crimson Crusader, takes the Panamera&apos;s controversial design into more stylish territory.